This weekend it became a little more difficult for Cook County voters to make informed choices in judicial elections. Avy Meyers, 66, passed away on Memorial Day. The long-time host of North Town News Magazine, Meyers was perhaps best known to FWIW readers as the interviewer of Cook County judicial candidates. Election law attorney and frequent NTNM guest James P. Nally called the program a source of "consistent coverage of judicial candidates to the general public." Both longtime collaborator (and entire technical crew) Sonny Hersh and frequent guest (and "lifelong friend, although we didn’t realize that until we were over 50") Michael A. Strom stressed Meyers' comfortable, relaxed, "non-confrontational" interviewing style. This was certainly true: Meyers was not Mike Wallace. Sometimes his questions morphed into soliloquies, a la Chet Coppock, but judicial wannabes and candidates for all manner of local and countywide offices came in pilgrimage to Meyers' West Rogers Park home because, as Hersh put it, Avy gave "both sides on an argument equal unbiased access, though he had his own strong opinions." Nally agreed that Avy "was a man of strong opinions, but to his credit was interested in listening to the viewpoints of other people as well, and providing them, via his show, a chance to share those opinions." Strom also recalled that "Avy was unfailingly polite and generous on air, even to any candidates he intensely disliked due to prior experience or conduct he deemed unacceptable." 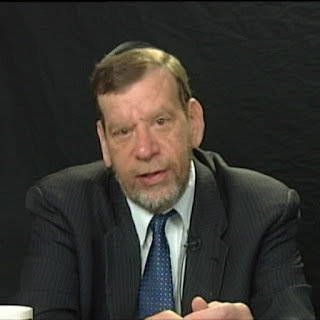 While Avy occasionally served up a controversial opinion in the course of asking a question or making an aside, Meyers usually saved up his own unvarnished views for exposition in the pages of Jewish Chicago. There, Strom noted, Meyers was as passionately judgmental as a movie reviewer. I think Avy would like to be remembered at least as much for his writing as for his cable and You Tube presence. As Strom noted, Meyers studied journalism, and became the Chicago Defender's first white reporter. Assigned to criminal trials, it was while working the Defender's courthouse beat that Meyers developed, as Strom put it, his deep appreciation of the "power of judges to decide child custody, division of community property, and criminal trials where jury rights were waived." In addition to providing the editorial content for Jewish Chicago, Meyers sold ad space for his publication. He was immensely proud of the fact that his endorsements were not influenced by the size of an ad purchased by a candidate, or whether a candidate bought an ad at all. When pressed, Avy could cite many examples of candidates who bought large ads, only to have him endorse an opponent. While, as Hersh noted, many of the candidates and their consultants in time became Meyers' true friends, Avy reserved an uncharacteristicly harsh assessment for those few who thought his endorsement (and good will) could be bought. For his judicial endorsements, Meyers would rely on a panel of experts. The exact composition of that panel will now be lost to history. I was not a member; Michael Strom was. "There were other experts," Strom said, "and he did not always listen to me. To my surprise, sometimes he was right about candidates I tried to talk him out of endorsing." Sonny Hersh recalled that Avy was very proud of the many awards that their cable access show won, though Meyers never boasted of it, Hersh said. Among these awards were an Award of Excellence in Community Outreach from the Illinois State Crime Commission, and three National Awards for Best News Show and Making a Difference in the Community conferred by the Alliance for Community Media. Avy Meyers "put in long hours taping and editing each show," Strom recalled, "and certainly was not getting wealthy doing it." Hersh added, "All interviews were uncut and complete, except for an occasional expletive or mention of fundraising, which is not allowed by our outlets, so those were bleeped." Hersh had worked with Meyers almost from the beginning of NTNM: The show started in 1991, and Hersh came aboard as "all things technical" in 1993 when he became a certified producer at CAN-TV. Hersh saw the show evolve from one which was entirely community-based into something more politically-centered. "I think last cycle there were 50 interviews of judicial candidates," Hersh said. Hersh said the judicial candidate interviews allowed people to see that judicial candidates are real people, and what sort of people they are. Strom added, Avy "saw his duty as allowing the candidates to present themselves as actual people, and allowing actual voters to see who the candidates were selected make up their own minds." Strom cited an old Yogi Berra-ism in describing how Avy's interviews allowed voters to make meaningful evaluations of judicial candidates: "You can observe a lot by just watching." For my part, I will be ever-grateful for Avy giving me my first television exposure since I got picked for a tug-of-war on the old Bozo's Circus. Ringmaster Ned misheard me when I gave my name---I must have mumbled---because he called me 'Jeff.' And my team lost the tug-of-war. I think my appearances on NTNM went a little better. Strom recalled that "Avy was hilarious"---and while something Avy said cracked me up more than once on camera, I must agree with Strom that some of Avy's best material was saved for when the camera was off. More than once, I hung around Avy's living room (the show was taped in the dining room) watching other tapings and bantering with Avy, Sonny, and other guests. As a practical matter, with Avy Meyers' passing, I've lost a partner: Once we stumbled onto each other, Avy and I engaged in regular cross-promotion. I re-posted his candidate interviews; he would plug my blog with guests, on and off camera. We both benefited -- although I'm sure I benefited more from Avy's promotion than ever he did from mine. Sonny Hersh said he frequently took flak for things Avy would say on the show or write in Jewish Chicago. "A lot of people thought that if Avy said it he was talking for me, too, but it wasn't true. We did not agree on a lot of political issues, but did on some." Their disagreements certainly did not harm their relationship. I didn't agree with everything Avy said or wrote either; I know I cringed more than once on camera and tried to quickly disassociate myself from some comment or other that Avy had just made. But he never took offense. For a man with such pronounced and strongly-held opinions, Avy Meyers was remarkably tolerant of those with whom he did not agree. "This quality is sadly lacking in political discourse today," Jim Nally said. And this quality---this civility---is in even shorter supply after Monday. Rest in peace, Avy Meyers. If you didn't already know this, it's probably way too late for you to have any chance now. Any chance, that is, at actually being slated. Even so, for the eternally optimistic and/or the insatiably curious, the Cook County Democratic Party has announced dates for pre-slating and slating. Pre-Slating will be held June 22 and 23 for all countywide and statewide offices up for election in 2018. As the announcement says, "This is an opportunity to appear and present your credentials to the committeemen of the party prior to slating in August. We encourage all potential candidates to participate in this process." So even though you (most likely) have no chance, if you go through the pre-slating and then come back for the slating meeting on August 10 and 11, your name might be pronounced correctly when you get your 90 seconds in the spotlight. To find out when and where to report on either June 22 or June 23, and to find out what information needs to be submitted in order to receive a pre-slating appointment, send an email to cookcountydems@msn.com or call (312) 263-0575. Supporters of Judge Joanne Rosado are planning a fundraiser for their candidate on Thursday, June 8, from 5:00 to 7:30 p.m., at Moe's Cantina, 155 W. Kinzie Street. State Rep. (and 36th Ward Committeeman) Luis Arroyo, Ald. (and 38th Ward Committeeman) Nicholas Sposato, Ald. (and 30th Ward Committeeman) Ariel E. Reboyras, and Franklin Park Mayor (and Leyden Township Committeeman) Barrett Pederson are the Host Committee for the event. Tickets are $150 each and sponsorships are available (Friend - $300, Supporter - $500, Sponsor - $1,000, and Host - $2,000). For more information about the event, or to reserve tickets, call or email Pericles Abbasi at (773) 368-5423 or Pericles@UChicago.edu. 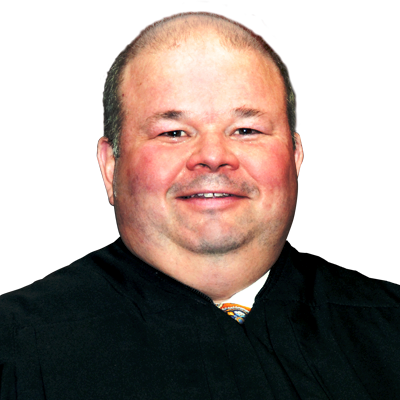 Scott McKenna has announced plans to run for judge in the 15th Judicial Subcircuit. His supporters have established a campaign website in support of this effort. That's a link to the site in the preceding sentence; a link has also been added to the blog sidebar. 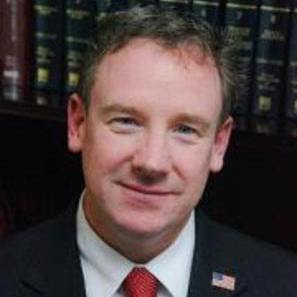 McKenna has been licensed as a lawyer in Illinois since 1996, according to ARDC. According to his campaign bio, McKenna has been a partner with the firm of Best, Vanderlaan & Harrington since 2005. The Best firm (gee, I wonder if they listed that partner's name first on purpose) is one of the listed sponsors of a Wednesday, June 28 fundraiser for McKenna's campaign. The event will be held at The Gage, 24 S. Michigan Avenue. Tickets for the event, which will run from 5:30 to 7:30 p.m., are $100 (a $300 sponsorship is also available). Other listed sponsors of the June 28 event are Hurley McKenna & Mertz, P.C. and the Law Office of George Jasinski. For more information about the fundraiser, or to purchase tickets, email mckennaforjudge@gmail.com (event sponsors are looking for a head count by June 21). 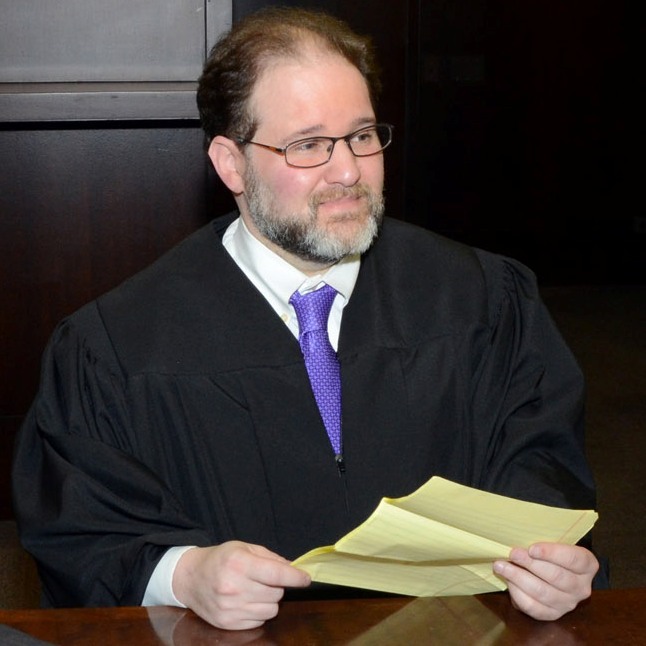 A campaign website has been launched for Judge Myron "Mike" Mackoff. who currently sits by appointment to the Pethers vacancy in the 8th Subcircuit. That's a link to the campaign website in the preceding sentence; a link has also been added to the blog sidebar. Judge Mackoff's supporters are also planning a June 6 fundraiser for their client, from 5:30 to 7:30 p.m., at the Union League Club, 65 W. Jackson. Second Ward Committeeman Tim Egan and prominent family law practitioner Donald Schiller are the listed co-hosts of the event. Tickets are priced at $150 each, but sponsorships are available (Silver - $300, Gold - $600, or Platinum - $1,000). For more information about the event, or to reserve tickets, email judgemackoffevents@gmail.com. Much as some of us might wish otherwise, the 2018 campaign season is in full swing. J.B. Pritzker has commercials on seemingly every newscast. Gov. Rauner has used dozens of rolls of duct tape. The judicial campaign season is also well underway. Of course, we don't yet know all of the vacancies that will appear on the ballot in the March 2018 Primary; what follows is merely the list of vacancies that I can confirm in one way or other. There will be more -- and this post will be updated accordingly. The Supreme Court has filled most of the following vacancies, as you'll note, but that does not mean that the Democratic Party will agree with all, or even most, of the Court's selections. And, eventually, of course, the voters will have their chance to weigh in... but not until after Mother's Day. And after Ramadan and Eid-al-Fitr. After Father's Day. After the Fourth of July. After Labor Day. After Rosh Hashanah and Yom Kippur. After Thanksgiving. After Christmas, Hanukkah and Kwanzaa. After New Year's Day. And after Dr. Martin Luther King, Jr.'s Birthday, Lincoln's Birthday, Washington's Birthday and Casimir Pulaski Day besides. So if it seems unreasonably early to be talking about the forthcoming judicial elections, it is. But only if you're not running. If you're only thinking of running it may already be too late. And, by the way, judicial candidate websites are coming online, too. There's now a list in the sidebar for your consideration. I'll add to that as we go. Meanwhile, herewith the list. All errors of omission or commission in this list are mine alone and I am grateful for additions and corrections provided. The Illinois Supreme Court today appointed Debra Ann Seaton to the 2nd Subcircuit vacancy created by the retirement of Judge Camille E. Willis. The appointment is effective May 18 and terminates December 3. Seaton's appointment was made on the recommendation of Supreme Court Justice Mary Jane Theis. According to a press release issued by the Supreme Court today, Seaton has been an Attorney Supervisor in the Office of the Cook County Public Defender since 2010. She also worked as a solo practitioner for 10 years and previously served as an APD in Cook and Kane Counties for 13 years. Seaton has been licensed in Illinois since 1986, according to ARDC. Seaton is a member of the Cook County Bar Association, Chicago Bar Association, the Women's Bar Association of Illinois, the Black Women Lawyers' Association and the Illinois Association of Criminal Defense Lawyers. The Illinois Supreme Court today appointed David R. Navarro to the 4th Subcircuit vacancy created by the retirement of Judge Thomas M. Davy. Navarro's appointment is effective May 25 and terminates December 3, 2018. The appointment was made by the Illinois Supreme Court on the recommendation of Justice Mary Jane Theis. Navarro is currently Chief of the Public Integrity Bureau for the Office of the Illinois Attorney General, a position in which he has served since 2009. Before that, Navarro worked as an Assistant Cook County State's Attorney and as Supervisor of the Professional Standards Unit in that office. He has taught as an adjunct faculty member at both Loyola and the John Marshall Law. He also serves as Membership Secretary of the Hispanic Lawyers Association of Illinois. Navarro has been licensed as an attorney in Illinois since 1993. See also, the Supreme Court's press release concerning this appointment. Supporters of Judge Clare Joyce Quish's bid to retain the judicial seat to which she was appointed last June have established a campaign website for their candidate. That's a link to the site in the preceding sentence; a link will be added to a blog sidebar just as soon as I set it up. Quish's campaign website stresses her background with Schuyler, Roche & Crisham, where she "was an integral part of the firm’s commercial and litigation practice." 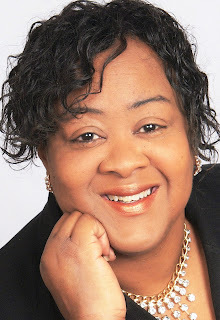 She served on the Illinois Supreme Court’s Committee on Character and Fitness for the First Judicial District and as an Adjunct Professor of Appellate Advocacy at Loyola University Chicago School of Law. According to her campaign website, Quish was named "an Illinois Rising Star by Illinois Super Lawyers in Appellate Practice for 2009, 2010, 2012 and 2013" and "recognized as an Emerging Lawyer by the Chicago Daily Law Bulletin in 2015 and 2016." Quish began her legal career as a law clerk to then-Appellate Court Justice Mary Jane Theis. The Quish campaign has also announced a fundraiser for their candidate on Wednesday, May 24, from 5:30 to 7:00 p.m., at the Elephant & Castle, 185 N. Wabash Ave. Tom Crisham, John O'Malley and David Sullivan are the listed hosts for event. Tickets are $50 apiece, but sponsorships are available ($100 - Supporter, $200 - Patron, $500 - Sponsor, $1,000 - Host, and $1,500 - Chair). For more information about the fundraiser, or to reserve tickets, email eric@blueprintcampaignconsulting.com or call Eric at (773) 562-9559. Supporters of Judge Cecilia Horan's election campaign have scheduled a fundraiser for their candidate on Thursday, May 23, from 5:30 to 7:00 p.m., in the 3rd floor multi-function room at Horan's former firm, Hinshaw & Culbertson LLP, 222 N. LaSalle Street. Tickets for the event are $50 each but sponsorships are available ($75 - Supporter, $150 - Sponsor, $250 - Partron, $500 - Chair, and $1,000 - Host). The listed hosts for the event are David Alfini, Dan Boho, Conrad Nowak, Daniel Trevino, and Todd Young. For additional information about the event, or to reserve tickets, email eric@blueprintcampaignconsulting.com or call Eric at (773) 562-9559. Kevin Cunningham will seek a 3rd Subcircuit vacancy and a campaign website supporting his effort has gone online. That's a link to the site in the preceding sentence; the link will be added to the blog sidebar when the sidebar is set up. 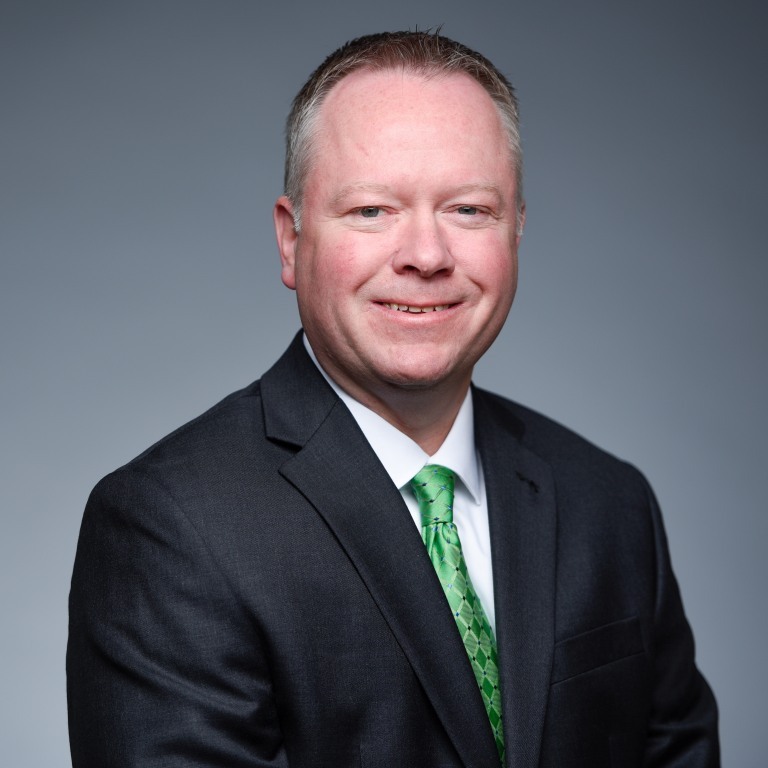 Cunningham's website stresses his experience as village prosecutor for Oak Lawn and Sauk Village, and as a hearing officer for Willow Springs. It also notes his service with the Southwest Bar Association, holding every office within the organization at some point and serving as President in 2009. The website also notes Cunningham's Southwest Side roots. A native of Mount Greenwood, according to the campaign website, Cunningham graduated from Queen of Martyrs and Brother Rice High School. He and his wife reside in West Beverly. Of their three children, one graduated from Mother McAuley High School and now attends college, another is graduating from Brother Rice this spring, and the youngest attends St. Barnabas. According to the campaign website, Cunningham has coached for the Ridge Beverly Baseball League and currently manages his son's hockey team for the St. Jude Knights Program. Cunningham sought a countywide vacancy in 2012. He also filed for a countywide vacancy in 2016, but withdrew before the primary. Cunningham's supporters have announced a fundraiser for their candidate on Tuesday, June 6, from 7:00 to 9:00 p.m., at Barraco's Beverly location, 2105 W. 95th Street. Tickets are $50 each or two for $75 and may be purchased through the candidate's campaign website or at the door. Sponsorships are also available (Level 1 - $125, Level 2 - $250, Level 3 - $500, or Platinum - $1,000). For additional information concerning the event, email Sarahcunningham76@yahoo.com. Berwyn practitioner Martin D. Reggi has announced his intention to seek a 4th Subcircuit vacancy. His supporters have established a campaign website boosting his candidacy. That's a link to the site in the preceding sentence; a link will be added to a blog sidebar when enough of these sites are up and running. Reggi has been licensed as an attorney in Illinois since 1980. 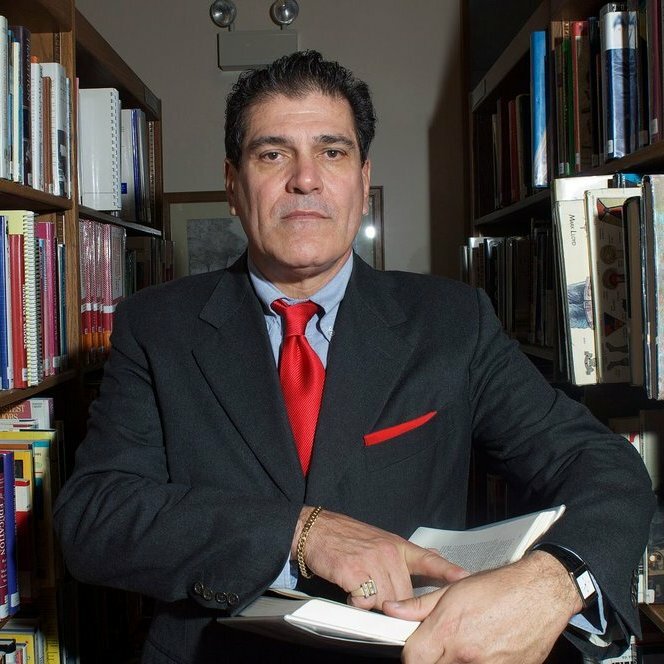 After a five-year stint in the State's Attorney's office, Reggi set up his own practice in Berwyn which he has operated now for more than 30 years. His campaign biography notes that his wife and seven children "are the life source behind his grassroots campaign." Reggi filed for a 4th Subcircuit vacancy in 2012, but withdrew. He was a candidate for a different 4th Subcircuit vacancy in the 2014 primary. Supporters of Judge Kent A. Delgado's bid to retain the 6th Subcircuit seat to which he was appointed earlier this year have launched a campaign website for the upcoming primary campaign. That's a link to the site in the preceding sentence; this link will also be included in a blog sidebar when enough candidate websites have been launched. We're getting closer on that. Judge Delgado's website touts his experience as an attorney in "an office in a neighborhood storefront on the corner of Western and Augusta in Humboldt Park/Ukrainian Village." There, according to the campaign website, Delgado handled "criminal defense, traffic, immigration, probate, and real estate" matters for a decade. Before that, the website states, Delgado "served as an Assistant State’s Attorney where he prosecuted violent crimes including murder and domestic violence. He prosecuted over 70 jury trials and received the Constance Morris House Award for commitment and service to domestic violence victims." Delgado has been licensed as an attorney in Illinois since 1996. He was previously a candidate for a 6th Subcircuit vacancy, in 2012, withdrawing shortly before the primary that year. 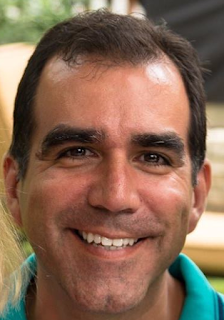 In addition to the campaign website, Delgado's supporters have also announced a fundraiser for their candidate, on Wednesday, May 24, from 5:30 to 7:30 p.m. at Frontier, 1072 N. Milwaukee. Tickets are $100 apiece ($50 for government employees) but sponsorships are available (Neighbor - $250, Friend - $500, Patron - $1,000, Benefactor - $2,500). The ticket price includes "light fare" and an open bar. Tickets will be available at the door. Tickets can be ordered at this page of the campaign website. For more information, email neighborsforjudgedelgado@gmail.com.